South Carolina could soon see a return of the “Queen of Forages” to supplement the “King of Forages,” bermudagrass. The “queen” is alfalfa and Clemson researchers are working with South Carolina livestock producers to determine how to effectively incorporate alfalfa into forage crops, such as bermudagrass. Known to many as the “Queen of Forages,” alfalfa is not a new crop in the southern United States. It has been grown in the region since the late 1800s. Alfalfa acreage increased in the South for several decades in the early 1900s. Then, with the arrival of the alfalfa weevil in the late 1950s and an abundant supply of inexpensive nitrogen fertilizer, alfalfa acreage fell sharply in the early 1960s and has remained low ever since. 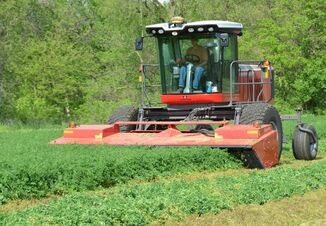 But Andrae and his team are working with South Carolina producers Neil and Gwen McPhail of Tokeena Farms in Seneca and Kevin and Lydia Yon of Yon Family Farms in Ridge Spring to bring alfalfa back to the top of the forages list. They are working on a project that involves growing alfalfa in combination with existing stands of bermudagrass to increase forage quality, as well as grow a supplemental feed and/or cash crop. This project is also receiving support and sponsorship by America’s Alfalfa under its GotBermudagrass? initiative, https://tinyurl.com/GotBermudagrass. It includes 12 current on-farm demonstration plots across the southern “Bermudagrass Belt,” from North Carolina to Oklahoma. McPhail has a 50-year-old stand of bermudagrass he uses for hay. After 50 years of growing on the same land, the bermudagrass stand was thinning and he was searching for a way to increase the quality of forages produced on the farm while reducing overall input costs. To increase nitrogen in the soil, McPhail planted alfalfa on 16 acres of his bermudagrass crop. 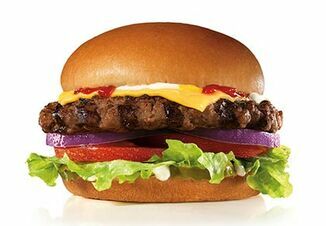 While he is pleased with his alfalfa crop, McPhail said he would do one thing differently next time. Research conducted at Clemson University by Bill Stringer, professor emeritus, indicates alfalfa can be successfully established in 8-inch, 16-inch or 24-inch rows with bermudagrass becoming more competitive as the row spacing increases. Wider rows decrease shading by the alfalfa. However, the impact of these wider rows on alfalfa stand life were not measured in the two-year study and are unknown. Just as the McPhails, the Yons also are pleased with their alfalfa crop. The Yons are growing alfalfa on 35 acres of bermudagrass. Kevin Yon said he has found the Relative Feed Value to be “fantastic” and his cattle seem to enjoy eating it. He also noted the importance of conducting soil tests prior to planting. Relative Feed Value(RFV) is used to compare the quality of legume and legume/grass hays and silages. Higher RFV values indicate higher forage quality. Alfalfa grows best and sustains longer-lived stands when the soil pH is maintained at 6.5-6.8, Andrae said. Nitrogen fixation in the root nodules is reduced as pH decreases. Micronutrients like boron and molybdenum will be required in some areas. Alfalfa has a high nutrient value, making it an ideal legume hay. Information from the United States Department of Agriculture (USDA) shows alfalfa contains between 15 percent and 22 percent crude protein as well as high amounts of 10 different vitamins. 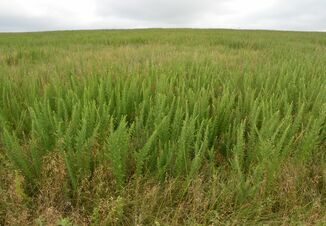 Because of its high nutrient value, McPhail said he is working with a livestock nutritionist to develop a hay mix of bermudagrass, alfalfa and barley for his herd. Alfalfa hay is used as a feed primarily for dairy cows but also can be used for horses, beef cattle, sheep and other farm animals. It is the fourth most-widely grown crop in the United States, with an estimated annual value of $11.7 billion. There are 26 million acres cut for hay with an average yield of 2.3 tons per acre. The record yield of one acre of alfalfa is 10 tons. Alfalfa can be a very productive crop with high levels of biomass accumulation. For more information, read Growing Alfalfa in the South, co-written by Clemson researchers, https://tinyurl.com/GrowingAlfalfaInTheSouth. Want to Gain Twice Your Annual Income?